View our membership packages for the 2019 Season! Visit the online store today to view our newest golf specials! Learn more about becoming a member at Elks Run Golf Club. Elks Run Golf Club, rated top 10 in Ohio by Golf week in 2010, is a 4-Star rated facility by Golf Digest. Enjoy friendly service at our pub as well as splendid views of the course on our outdoor dining patio. Elks Run is known as the best public golf facility in Cincinnati. 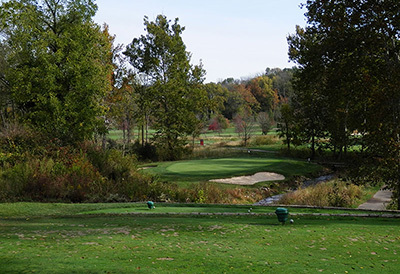 Situated on 163 acres of lush, rolling hills in Batavia, Ohio, Elks Run Golf Course is a 6,845-yard championship course that is both challenging and enjoyable to play. Utilizing bentgrass greens, tees and fairways, this Greg Norman design takes advantage of the rolling hills and creeks to provide a course that works within its natural characteristics. This only maximizes its beauty and difficulty.